With a devilish mix of cowpunk twang, horror rock, and spaghetti-western flair, Ghoultown is a band known for their unique sound and dark, western image. Led by founder/frontman, Count Lyle (aka Lyle Blackburn), the Texas-based group has released eight albums since 1999 which have not only earned them a loyal following, but found their way into movies, video games, and numerous live venues across the United States, Canada, and Europe. Band highlights include main support gigs for groups such as The Misfits and Hank III, along with an invitation to write a theme song for iconic horror maven, Elvira, Mistress of the Dark. The song’s music video – featuring Elvira herself – was aired on her nationally syndicated show, Movie Macabre. 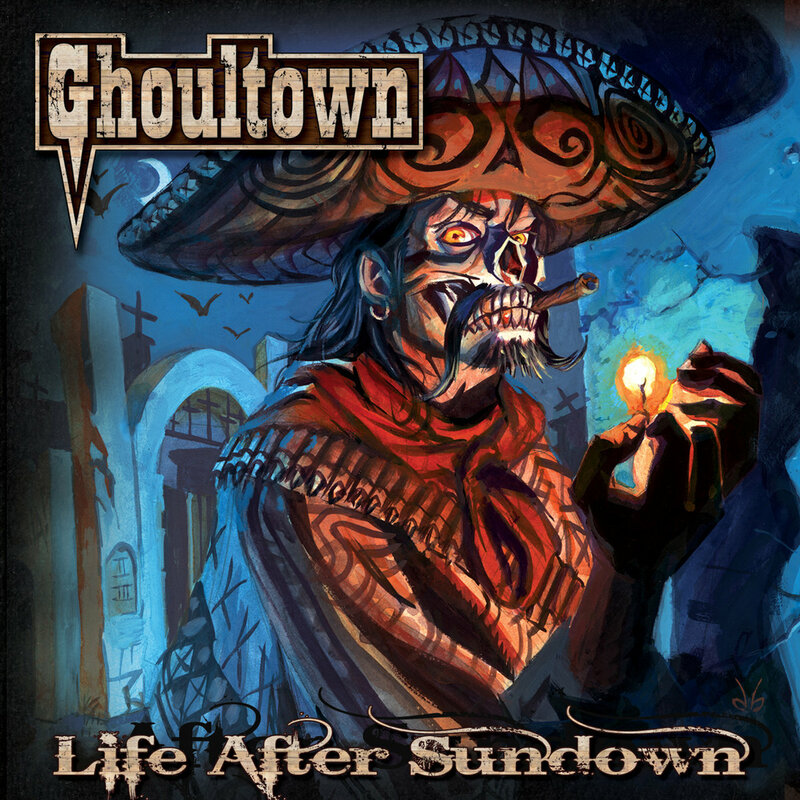 Ghoultown releases, such as Bury Them Deep and Life After Sundown, embody their guitar-slinging pursuits with a catalog of catchy tunes ranging from spooky tales of lost love — to blood-pumping outlaw punk — to well-crafted anthems featuring spaghetti western style trumpets. 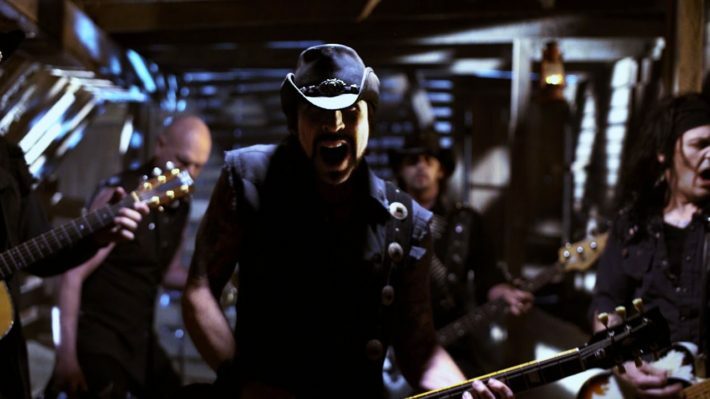 The popularity of cuts such as “Drink With the Living Dead” is evident with its corresponding video charting nearly two million views on YouTube alone. 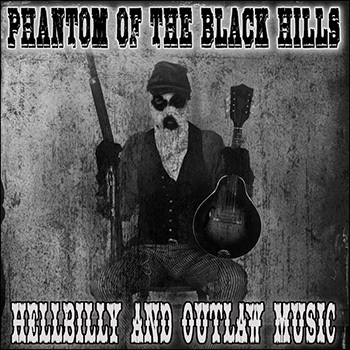 With their latest album, Ghost of the Southern Son, the black-clad outlaws extend their mark upon the musical badlands. With this new collection of songs, Ghoultown continues make hearts race and rebels rouse as they turn the music world upside down — one soul at a time. They characterize their music and attitude behind their band as “The true tequila-guzzlin’ sounds of Texxxas!”. 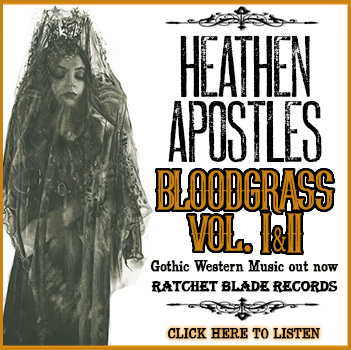 Their unique heavy western sound has brought attention from both fans and press alike. Since their debut in 1999, Ghoultown has released four CDs, as well as several compilations, movies, short films, a comic book and a video game.